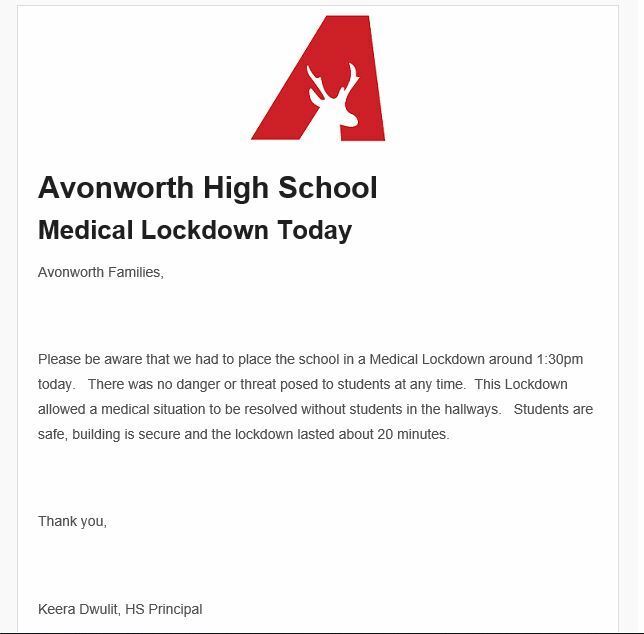 In a matter of two weeks, students across the school have had a lockdown drill and a medical lockdown. What is the difference? A lockdown is “(administrations) first response to a dangerous situation”, according to Principal Dwulit. “A Medical Lockdown is a medical situation and somebody’s going to have to be moved from the building in an ambulance.” Dwulit also added that a medical lockdown is to keep privacy for the person having the medical complications. The middle/high school ran a medical lockdown during the F/G Mod on Thursday, April 11th. Two ambulances were called to the high school during the lockdown. Students with an Open Mod found themselves in different classrooms, waiting until the clearance from an announcement close to 2 o’clock that the lockdown was lifted. On Friday, April 5th, the school had run a planned lockdown drill, also in the afternoon. As more information is available, we will post it.